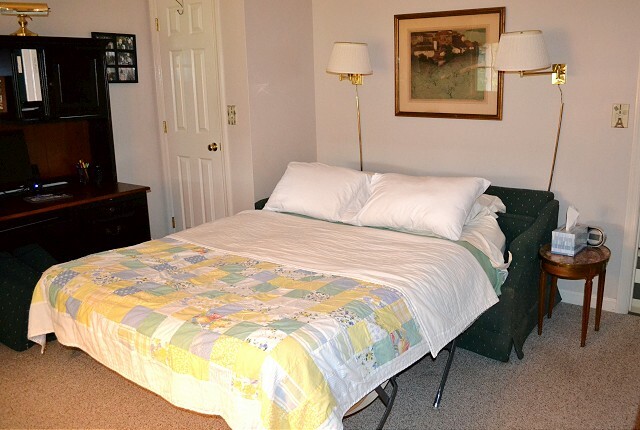 A delightful and colonial type home having five guest rooms. 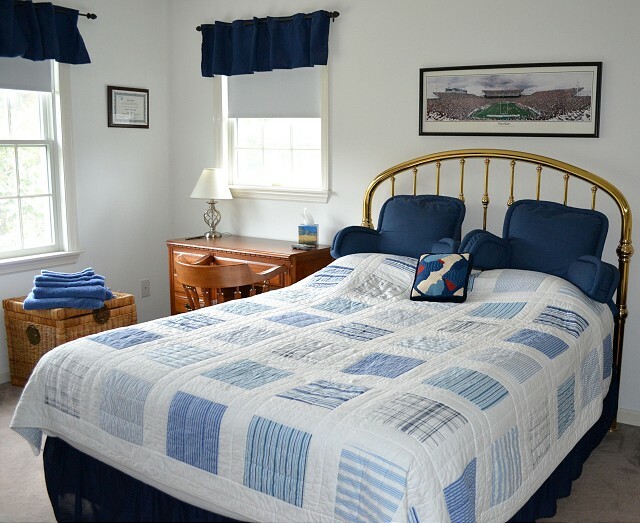 Room 1 boasts a den/guest room on the main floor that offers a queen-size sofa bed, TV, and private bath. 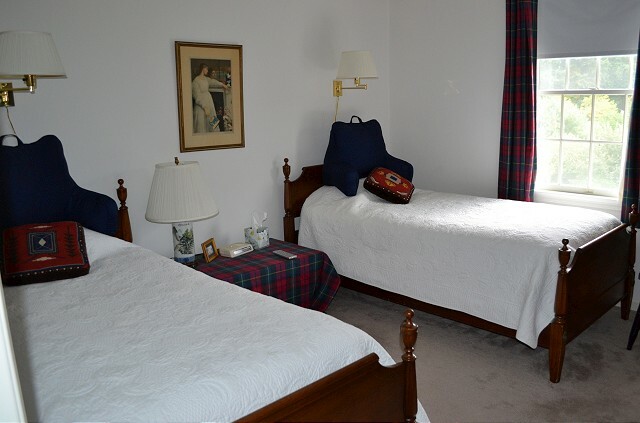 Rooms 2 and 3 share an adjoining bath (one room has a queen size bed and one has two twin beds). 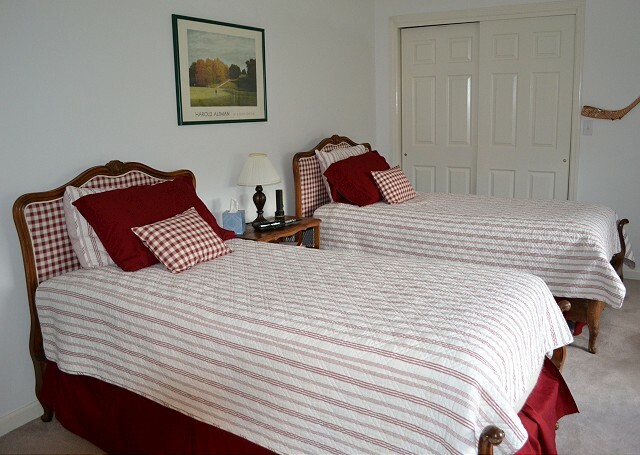 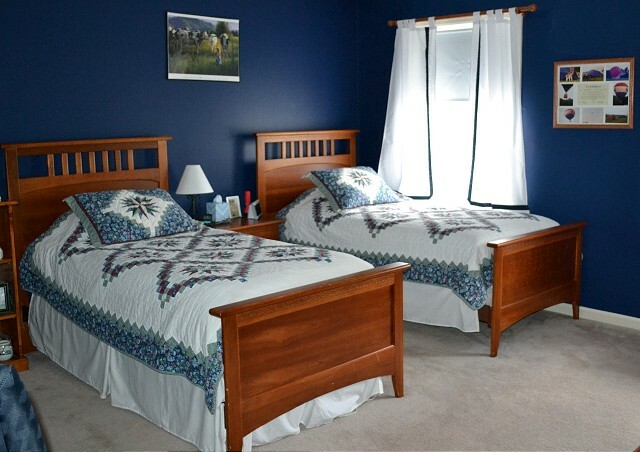 Room 4 has two twin beds with an adjoining bath that is shared with Room 5 (two twin beds) across the hallway.